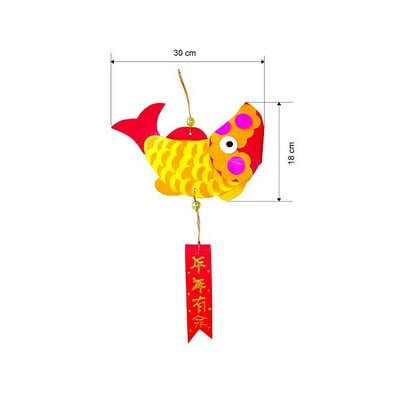 Create a 3D paper Koi fish hanging decoration and celebrate Chinese New Year with artistic style! Write your custom message to usher in all the good luck for the year. 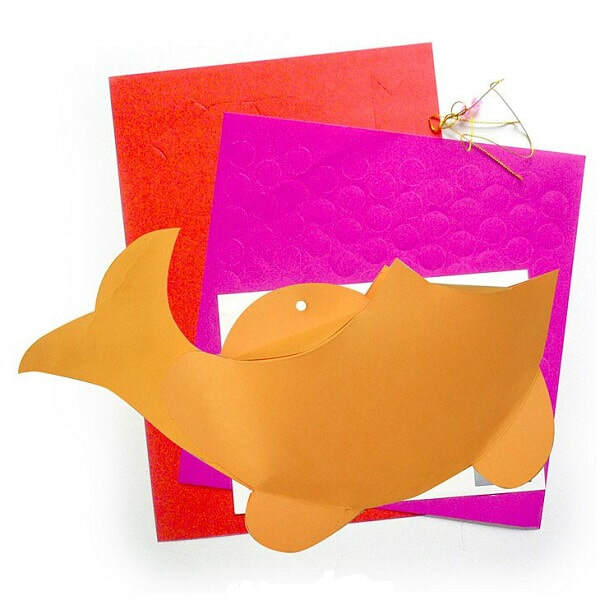 The colour papers are pre-cut and kids will enjoy constructing from scratch. 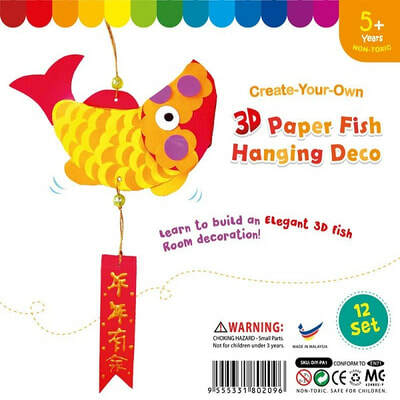 Peel and paste round coloured stickers to resemble scales on the Koi fish.